The DVD started off with some preview footage from the contest to come with the competitors looking sharp. This appeared to be the start of what was a pretty competitive contest. The pros were called out one by one with disco smoke pouring onto the stage and dance music playing in the background. I was impressed with the quality of the competitors as they came to the stage, and one thing is obvious: all contests held close to the Mr. Olympia contest are usually of very high quality since you will see a lot of the same competitors in similar condition. Sometimes they may show up slightly worse, but other times they may hit their peak and look even better. In this case, pretty well every pro announced to the stage looked awesome - huge and in good condition. Ron Love was competing in this contest, at 42 years young! 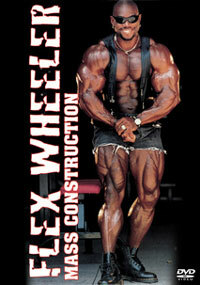 He was looking as good as I had ever seen him and he even talked about making a comeback at the 2007 New York Pro show! I really hope he does. Who ever said 40 is old? 40 is the new 20 and there is no reason at all why people cannot have a high quality of life as they age. The pros were called on the stage to do the mandatory quarter turns. Sonny Schmidt was on stage and looked incredible! Talk about great genetics for the "Wonder from Down Under!". 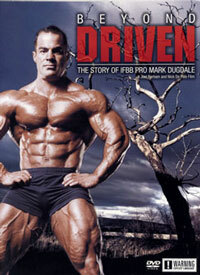 It is no surprise to me at all that he made Shawn Perrine's 20 most aesthetic physiques of all time list. He looked damn good. Next to the 5'10 and 1/2 Flex Wheeler, Sonny looked about 5'9, although I had seen him listed as 5'10 in most sources I've seen, including Shawn Perrine's list. Shawn was definitely right - talk about a classic physique. Height matters in bodybuilding to some degree, but when you have the combination of muscularity, conditioning, and aesthetics that Sonny had, chances are that you will fare incredibly well. The callouts began and at this point I already had a good sense of who should be placed where. Kevin Levrone and Milos Sarcev looked incredible as did Flex Wheeler and Charles Clairmonte. By the time Ron Love was called out, he looked exactly as I expected he would. He was huge at 6'0 and what appeared to be 240 pounds and in great condition. He was certainly around the best I had ever seen him which is proof once again that age is just a number - especially in bodybuilding. Sonny was 40 at the time of this contest and he was in fantastic shape as well. As the callouts continued, I remained impressed with Sonny's physique as well as Ron Love's. Although they were certainly not the only top calibre physiques at the contest, and were not even the top that day, the combination of their height, muscularity, conditioning, and aesthetics impressed me. It is not easy for a bodybuilder who is 6'0 to develop a physique as balanced as Ron Love's, and both Sonny and Ron were at an "advanced age" yet were in better shape than competing bodybuilders half their age. 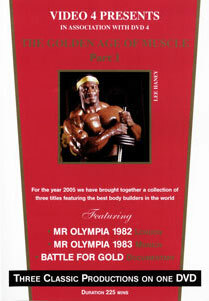 Next up, Flex Wheeler hit some poses and was looking awesome. He went through the mandatories and had great size and aesthetics, although some areas were not as conditioned as I think they could have been - for example, his glutes and hamstrings. Flex hit his rear lat spread while doing the splits and the crowd loved it! Next, Milos and Sonny Schmidt were in the same callout. I always felt that they had similar physiques. They were both around the same height, came in with great conditioning, and had amazing aesthetics to go along with their size. Their physiques, as powerfully built and big as they were, seemed somewhat "moderate" or "attainable", at least compared to other pro bodybuilders like Ronnie Coleman and Markus Ruhl. The callouts continued and the competitors continued to display their physique quality. It didn't seem to me that anyone who showed up was "off". The same pros who I mentioned above continued to impress me as they were called out. Ray posed to some slow music and was powerfully built and in good condition. He was thick and looked very mesomorphic. He did have shredded glutes and a very detailed back, so he had a good showing all around. Ray's music changed to hip hop by the end of his routine and he did the robot for a bit too. On a sad note, this was one of the rare occasions when Ray was taped by GMV, as he was murdered by his wife not too long after this contest. Kevin posed to the Batman (1989) theme music which I think is powerful music and which fits his physique type well. I liked his energetic posing a lot and his physique did impress. His huge delts and arms were not exactly overwhelming his back which was a good match for them. He hit a lot of most muscular poses during his routine which was appropriate given the power of his physique. He was huge and in great condition and I think this was close to the best he ever was. Given Flex's aesthetics, it's not a surprise that he chose to pose to soul music. 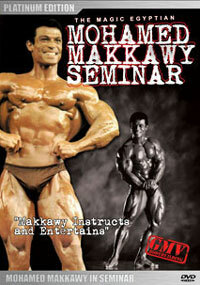 His posing style reminds me of Dexter Jackson's, both in terms of music selection and physical movements. Flex did the splits again when he hit the back double biceps and finished his routine with some hip hop music. Charles was hard, shredded, big, tall, and aesthetic. There was not much he was lacking. He had the classic physique where there was no weak point you could pick. Every muscle on him was huge and in proportion and displaying good conditioning. With all of his mass, he had a tight midsection and great six pack. His arms were huge and every mandatory pose looked great. He also had great appeal to the ladies in the audience. Peter was very thick and mesomorphic. He was posed to quick but powerful music which was a good fit for his muscularity. His chest was very shredded and he had a good midsection. His most muscular pose was excellent and he was very lively and energetic during his routine. Eddie was huge at around 6'1 and what looked to be 280 pounds. He posed to some powerful operatic type music which suited his physique well. Milos presented his classic physique to the stage. He posed to more than one posing song, one of which was the Terminator theme music. He was always a classic poser which suited him well. I had never heard of Arthur before this contest. He had a very good physique with good proportions and development. He was a good poser and held each pose long enough to get a good assessment of his physique as it was displayed. Posing is something a lot of bodybuilders go through too quickly and a good physique assessment is not always possible. I think Arthur would have benefited from a little more oil. 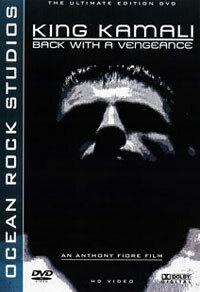 John posed to some sultry music similar to what Flex Wheeler posed to. Like Arthur before him, I think John could have used a bit more oil to highlight his physique. Just like Flex, his music changed towards the end of his routine to something a little faster. This was a posing formula I had seen many times where the music starts off slow and changes to hip hop towards the end of the routine. J.J. had what looked to me to be perfect oil. As I said, I think Arthur and John were both lacking it and I think if they had a better coat of oil on, they would have looked much better since their definition would have been highlighted. J.J. posed to a robotic type of song and also held his poses long enough to get a good assessment of them. Sonny posed to some interesting music which I can't describe exactly, but I think was Oriental in origin. His physique was awesome in his individual routine just as it had been during the prejudging as he held his peak well. Ian was a definite beast. He posed to some rock and displayed a physique that was huge while still maintaining shredded glutes. He went into pro wrestling soon after this contest and was lost to bodybuilding. At 42 years young, Love was still in superb condition. He was 6'0 and huge as well as being hard. He posed to some slow music which changed over to some fast beats at the end of his routine. 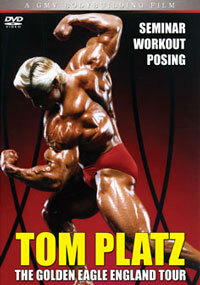 This way, Ron got to display his physique in both a slow manner holding each pose, and in a more powerful way. His most muscular pose was excellent. After the pros hit the mandatory poses, the group posed down to music. All five looked fantastic. 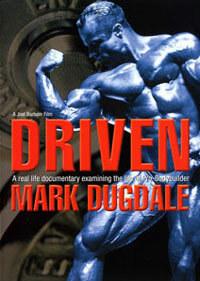 This was an excellent quality in one of the most competitive eras of bodybuilding history. 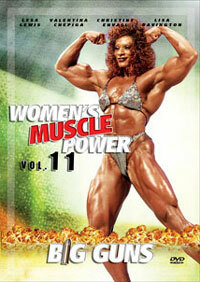 I refer to the nineties as "the chemical era" since it was a time when bodybuilders first took gear to the next level. In a sense, the group were guinea pigs as that level of sports enhancement in terms of muscle development had never been seen before. With that, the era was extremely competitive and this contest displays the level of quality you would expect. I was somewhat surprised that Charles Clairmonte won the show since 1993 was really Flex Wheeler's year and he came second at the Mr.
Olympia that year to Dorian Yates which was in close proximity to the English Grand Prix. Personally I think Charles looked at least as good as Flex, but I had to comment that the quality in the top five was all extremely close. I could have seen either Flex of Kevin winning the show, and Milos and Sonny weren't exactly far off. The entire group looked incredible. All in all, this was a very high quality contest and it was captured very well on camera by Wayne and the GMV crew. I look forward to reviewing the remaining Grand Prix DVDs and hopefully they are all at the same level this one is. On a historical note again. This was the first ever English GP to appear on video, now DVD and was GMV's first ever English GP shoot. They have shot every English GP that has taken place since. Although not living in UK, the promoter was Wayne DeMilia and he also did an outstanding job in staging this contest in a foreigh country.